After years of planning and over a year since building work started, this week IKEA opened their first new store in the capital for 14 years. Dangerously it’s only a short walk from my flat so I decided to check it out, heres what you need to know. The store is located at Millenium Way retail park on Bugsby’s Way in North Greenwich. There are a lot of buses that will take you straight there including the 161, 472, 108, 486, 129, 188 and 132 and its also only an 11 minute walk from Westcombe Park train station. 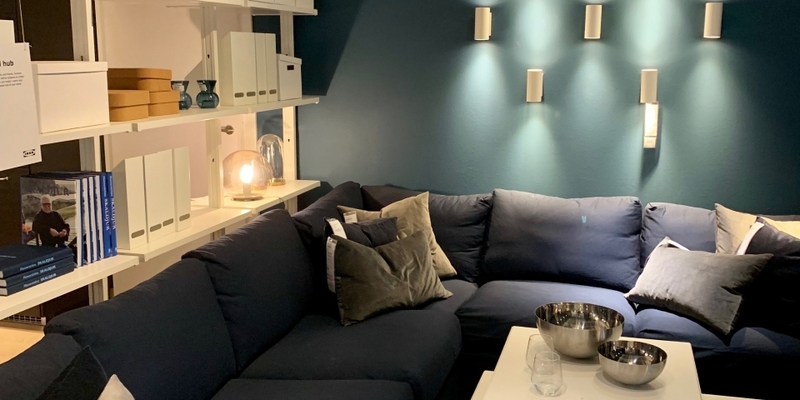 Both Greenwich Council and IKEA have made a big thing about this being their most sustainable store and a big part of this is that they are hoping a lot of people will visit via public transport. The car park is shared with the ODEON and B&Q so isn’t the biggest, so it will be interesting to see how this plays out over time and the impact on traffic in an already busy area. Whats different about this store? As I mentioned above, this is IKEA’s most sustainable store yet and they’ve gone all out. Including solar panels, geothermal heating, rainwater harvesting and 100% LED lighting throughout the store alongside skylights and lots of windows to reduce the need for artificial light and is aiming to be 100% renewable. As well as all this theres a new learning lab where they will teach customers how to upcycle and repair furniture and run workshops on things like making bunting or how to grow your own herbs. Theres also a rooftop garden with views over Canary Wharf, although the weather when I visited wasn’t right to check this out. If you’re heading to the store with children theres also a big area just for them with books and tablets to play on. And if you don’t fancy carrying all that shopping home theres a mini cab desk, bike delivery and also standard home delivery options just ask one of the staff. As you’d expect theres a number of places to eat around the store, the main restaurant being upstairs with meatballs, chicken kievs, fish & chips and Daim bar cakes a plenty and all ridiculously cheap. Theres also the famous 50p hotdog stall downstairs and if you have an IKEA family card you can get the 6 item breakfast for £1.75 (usual price £2.50). Sorry for not posting much over the last couple of weeks, been busy with work and catching up with friends. Last night my friend and I headed over to Union Chapel in Islington to watch Natalie Imbruglia on her 20th anniversary acoustic tour, just saying 20th anniversary makes me feel old ha! Next post Pure Filth! Is F!lth the best vegan burger yet?